We are joined by Dr. R.C. 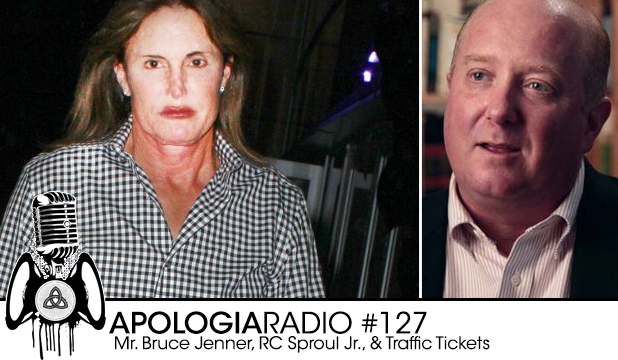 Sproul Jr. on this new episode of Apologia Radio. We talk about the Scripturally rooted hope for the Kingdom of God in history. Have you ever thought through your view of what the Scriptures say concerning the future hope of the Kingdom of God in history? Ever been depressed about the future because of present difficulty? Listen-in as Dr. Sproul gives us encouragement and insight as we discuss what the Bible has to say about ‘end-times’. We also spend a few moments speaking with R.C. about the Mr. Bruce Jenner media frenzy. How do we handle a culture that embraces the truth that mutilating your body can change your fundamental gender? We chop it up over the discussion of the Law of God in society. We talk about traffic tickets. Every got one? Well, take a listen to an interview we review about a grandmother who went to jail for one. Thank you all so much for your constant love, prayers, and financial gifts! We are so grateful and need your support now more than ever. If you have never given to the work of Apologia Church and our ministry of Apologia Radio, would you consider partnering with us by donating at Apologiaradio.com? We would be so grateful. It sounds like, from this podcast, that you guys hold that the OT civil laws are still normative, as in theonomy. Where can I find a good intro to theonomy that you would recommend? A substantive orscholarly article or booklet would be sufficient. I’m not looking for a tome like Rushdoony’s “Institues.” Thanks! Great job, guys. Loving the new site. Keep up the good work! Great episode! I am so pumped to hear RC jr is datpostmil! I Look forward to him speaking at our Church in the fall! seldom mentioned in, “christian churches.”oh, how sad the condition of the churches in the,skagit county area.